Please Call Mr. Sumit Jain on +91 995.895.9555 and get all your Property Solutions done right away. Major Residential Original BookingReal Estate Projects in Gurgaon . Project Snapshot: Seven Lamps is a part of the Vatika India Next township at Sector 82, Gurgaon. This architecturally inspired building will rise majestically from its neighborhood to create a new landmark and define a new sky-line – which will be visible from far and wide. There are seven towers – which feature choices of 2BHK, 2BHK+study, 3BHK+study, 3BHK+Study+Servant and 4BHK+Servant and a few penthouses. About Developer: Vatika Group started as a real estate development company and is today a multi-tiered organization with real estate, hospitality development & facilities management. Over the years, Vatika group has built an impressive portfolio of projects that span corporate & residential complexes, resorts, five star hotels, restaurants, business centers and fitness outfits. The group is executing projects worth over Rs. 7900 Crores to bring about positive change in the work, home and leisure life of millions. The Vatika group boasts projects like First India Place, Vatika Triangle, Vatika Towers, Vatika Technology Park and many others. Project Snapshot: Unitech launches 2nd phase of South City in Gurgaon. South City II is situated at sohna Road. Unitech South City II is a fast emerging township. It combines residential accommodation with shopping facilities, schools, clubs and other amenities which makes your life enjoyable. Unitech South City II is a perfect blend of open space, community and convenience. South City II offers you 3 and 4 Bedroom Independent Floors, each with a unique concept of three independent units with one family per floor, terrace or lawn and parking space. Project Snapshot: Unitech is launching a new project called Unitech South Park in Sector 70 Gurgaon, roughly a 1 km off the Sohna road. Unitech South Park offers 2bhk & 3bhk apartments at varying in sizes 1200 sq ft. to 1600 sq ft. at very unique prices. Unitech South Park will belong to the most prestigious neighborhood of the 150 meter wide Golf Course Extension Road which shall have the metro running through it. South Park is sure to be among the most successful projects by the Unitech Group. About Developer: Unitech is the largest listed real estate company in India with a market capitalization of around US$ 5 bn. It has experience of over 20 years in real estate development turning many a barren landscapes into landmarks. It is ranked among the Top 50 real estate companies in the world and boasts developments such as Nirvana Country, South City, The Close, Cascade to name a few. Project Snapshot: Ansal API Esencia has a lifestyle for everyone who wants to be a part of this Green evolution. Ansal Esencia Mulberry Floors is your own little Oasis in the world that offers an incredible metropolitan lifestyle along-with ultra-modern amenities like round the clock security and full power back up. Ansal API The Esencia township project is spread across 111 acres and will have 700 to 750 plots, for villas. Ansal Esencia also offers all the benefits of being located at Sector 67, which is one of the most desirable residential destinations in Gurgaon. For those who are looking for an independent floor apartments, the homes at Alba South is just what the doctor ordered. With a heavy emphasis on green living and use of renewable sources of energy and the various green zones, Ansal Esencia Mulberry Floors is the right place to bring up your children. Rest assured, you shall be residing in the greenest apartments in the NCR. Project Snapshot: Dwarkadhis Antriksh Heights is a new property at Sector-84 Gurgaon. Dwarkadhis Antriksh Heights offers 3 bedroom apartments with servant room, and a wide range of amenities like a gated complex ,high level of security ,club with swimming pool and gym. Dwarkadhis Antriksh Heights offers peaceful environs in the hub of business and commercial activities- Gurgaon. It boasts of anti earthquake mechanism, 75% greens, 24hr power backup, 24hr water supply, covered parking lots and fire safety. Dwarkadhis Antriksh Heights has residences that are Vaastu compliant, a school and community center, well ventilated living rooms with immense balconies, modular kitchens, wardrobes and shower panels. Dwarkadhis Buildwell Pvt. Ltd. is a dynamic real estate company established in 2005, in response to the growing need for quality housing and commercial space in the NCR region of India. A highly customer driven company, Dwarkadhis aims is to provide top quality construction services to a large clientele. Every project of the company is a standing testimony to the Company’s basic approach of upholding excellent standards in design and construction. The characteristic hallmarks of Dwarkadhis is – technical excellence, impeccable quality, airy and spacious accommodation and completion on schedule, clear titles and a concern for ecology. Project Snapshot: After the grand success of Canary Greens, Today Homes and Infrastructure Pvt. Ltd has launched a new residential property- Today Callidora. Today Callidora is located at sector-73, Gurgaon near Hero Honda Chowk and Mall at Sohna Road. Today Callidora offers spacious and luxurious apartments with 2/3 Bedrooms set up over an area ranging between 1260 sq.ft. and 4350 sq.ft. Today Callidora lies close to Nirvana Country, and comes equipped with all modern amenities like Club, Swimming Pool, Garden, Security, Power Back-up etc. There is an attractive inaugural discount of Rs. 100 per sq.ft for those who pay a booking amount of 10% of total amount and Rs. 200 per sq.ft. on the payment of booking amount of 20% of total amount. About Developer: Today Homes and Infrastructure Pvt. Ltd. is one of North India’s leading real estate developer with proven expertise in the development of large scale residential and commercial properties. Today has long been developing homes, malls, multiplexes, integrated township and hotels, encompassing the entire gamut of not only real estate development but fine living. The group is committed to technical innovation, futuristic design and completion of projects before schedule, thus constantly raising the benchmark of real estate development. Project Snapshot: Today Canary Greens is the latest residential property project in Gurgaon. Today Canary Greens promises to provide the best standards of living in the heart of Delhi NCR. Canary Greens is situated at sector 73, one of the prime areas in Gurgaon which is conveniently located and very well connected to major business centers in Gurgaon. Today Canary Greens comprises of 2, 3 and 4 BHK apartments in Gurgaon, which are spread out on a humungous area of 30 acres. Canary Greens, Gurgaon is fully loaded with all modern facilities and amenities and comes at a basic sale price of Rs. 3650 per sq. ft.
Project Snapshot: Raheja developers are now ready to provide us a new and different style of living experience with their new project Atlantis II at Gurgaon. Raheja Atlantis II presents to you the opportunity of living in five-star stylishness in the lap of Gurgaon opposite 32nd milestone and straight accessible from NH-8. Raheja Atlantis II offers 2,3 and 4 bedroom condominiums, comfortable penthouses, presidential suites and imposing villas to suit a wide range of favorites and budgets. Atlantis II is built in 25.40 acres of open area to enjoy living in a fresh atmosphere. About Developer: The aim is to provide premium housing and commercials to our clients at par with international standards so as to provide benchmark quality standards and a luxurious lifestyle. However, care must be taken to keep a price line within the affordability range of the Indian Market so that people are able to afford an International Lifestyle at a reasonable price. Project Snapshot: Era group is coming up with a new project “Sky Ville” at Sector 68 (Sohna Road) in Gurgaon. Era Skyville is approximately 25 kms from Indira Gandhi International Airport. Era Sky Ville lies adjacent to the commercial developments on the Sohna Road. Era Skyville is 15 kms away from Damdama Lake – the famous tourist resort in Gurgaon. Spread over a sprawling 22-acre area, Era Skyville comes super equipped with a wide range of luxurious amenities. About Developer: Era is a world-class engineering, construction and services conglomerate, well positioned in key infrastructure markets that offer long- term growth potential. A versatile organisation comprising five companies – Era Infra Engineering Ltd. (Era Infra Engineering Era Building Systems Ltd.(Era Building Systems Era Landmarks (India) Ltd. Era Landmarks Era E-Zone (India) Ltd.(Era E-Zone and Era Power (India) Private Limited (Era Power) the Group operates across the fastest, synergistic and most exciting business segments in Indian economy, infrastructure development, pre-engineered buildings, real estate, hospitality & entertainment and power. Headquartered in New Delhi, the Era group of companies is promoted by Mr. H.S. Bharana, a civil engineering professional with over two decades of experience in the infrastructure business and a recognised thought leader in nation building. 3BR+2T(with Sky Bridge) 1850 Sq. ft.
Emaar MGF Land Private Limited is a joint venture between Emaar Properties PJSC Dubai – the world’s leading real estate company and MGF Development Limited, India’s leading real estate developer. A collaboration that has brought in the largest FDI in India’s real estate space and opened up the horizons of tomorrow. Emaar MGF is engaged in Pan-India projects in residential, commercial, infrastructure and hospitality sectors in integrated master plans and Special Economic Zones. Project Snapshot: Nestled in 11.5 Acres of Prime Land of Sector 84 Gurgaon, Spaze AT-4 is a luxurious high rise residential project coming from one of the most reputed builders of Gurgaon, Spaze. A radius of 5kms from the latest project, AT – 4, you will find more than five 5 star hotels, 10 residential colonies like this one and 7 – 8 commercial projects ready by the time you would move into your apartment in ‘AT – 4’ or put it up on rent. Choice of 2, 3 & 4 Bedroom Apartments with optimum space utilization and close to the proposed metro station, Spaze AT – 4 would be a delight. Spaze is one of the most versatile and reputed developers of India. The Spaze Group is committed to deliver dreams, not just promise them. Spaze envisions to take up the challenge of conceiving and creating spaces that meet the highest possible international standards and yet offer cost-effective and holistic solutions. We also ensure that there is perfect balance between aesthetic sensibility and functional efficiency. With a number of ground breaking projects, like the futuristic Spaze I Tech Park, commercial epicenters like Spazedge, Platinum Tower and Palazo, and creating excellence in comfort by introducing projects in the name of Spaze Privy, Spaze aims to lead the world’s hottest real estate market with its space-age archetypes. Project Snapshot: Bestech, after successfully making an indelible mark with the twin residential complexes of Park View City 1 and 2, presents Bestech Park View Ananda at Sector 81 in Gurgaon. It offers 2 & 3 BHK apartments of sizes 1300-1800 sq.ft. It is one of the most awaited residential project in Gurgaon. Bestech has combined strength of conceptualization with 100% implementation and delivery in the field of Real Estate Development. It’s a time of new beginnings, possibilities, and promises; best exemplified by the sophistication and luxury at Park View Ananda. About Developer: BESTECH India Pvt. Ltd. has already constructed and delivered high-quality, modern projects. Equipped with world-class infrastructure and modern equipments, our hallmark has been to deliver projects either within or ahead of schedule. Our work force is our pride and we reply on their expertise as they bring a range of skill sets from various relevant backgrounds. Bestech has worked with some of the leading masters of the industry to their satisfaction, maintaining the highest degree of compliance to time schedules and quality controls. 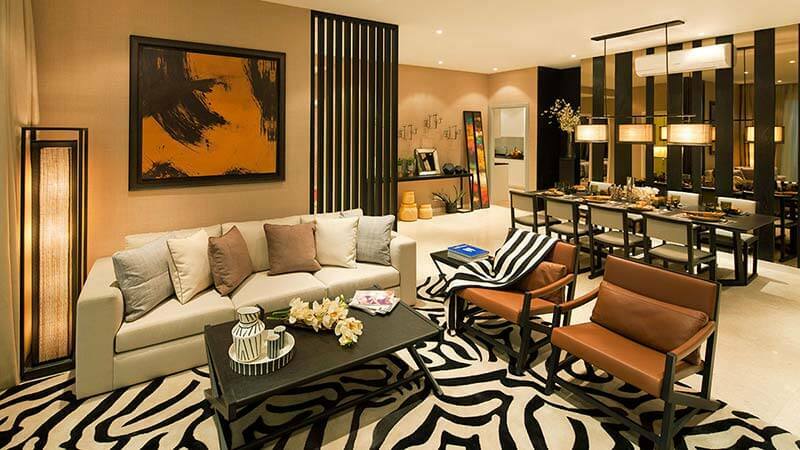 Project Snapshot: Welcome to Orris group’s new residential launch Carnation Residency in Gurgaon. Orris Carnation Residency is a conveniently located modern group housing project spread over 26 acres. Orris Carnation Residency offers a charming blend of Contemporary Indian living with the best of modern amenities to ensure warm and cosy living. Carnation Residency is strategically located at Sector 85, New Gurgaon, around 1 km from NH-8. About Developer: Quality is never by chance. It is the result of endless adherence to a well defined process. It is my personal commitment that Orris will not just deliver superior but above expectation realty solutions. Expect nothing less than the best from us. Land as well as its location is the core of every realty project. With an asset of more than 1200 acres, Orris is one of the leading land consolidator in and around Gurgaon. This consolidation is the result of Mr. Vijay Gupta foresight, expertise and experience of over 30 years in the realty market. Price : Rs. 3950 p/s/f – 10% dis. 3BHK – 1533 sq. ft.
Sizes : 3BHK – 196 Sq yds – @ 55,60,65 Lac. 3BHK – 250 sq yds – @ 70,77,97 Lac. 3BHK – 347 sq yds – @ 95,106,132 Lac. 1. Rented property to MNC in Sushant Lok -1 , 2715+2715+1420 sqft. Rent 88.32/-psqf. @ 10% . 2. Rented Property to Pre Nursery School for Sale on Sohna Road @ 9% covered area 9100sqft. Ground+2 , Rent @ 2Lac . 3. Rented Property in Unitech Cyber Park 5242sqft., Rent 37.95/- @ 6% and more options . 4. Rented property on M.G Road to ICICI prudential 1600sqft. , Rent 106/- @ 8% . 5. Rented property to Nationalized Bank near Golf course road , 2686sqft. , Rent 92/- @ 6.5 %. 6. Rented property on Golf Course Road 1000sqft. @ Rent 95/- @ 8.5% & More options available. 7. Shop in Arcadia Shoppping Mall , South City II 1st floor , 280sqft . 8. Front Corner Shop available in Suncity Market 600 Sqft. 9. Available ATM space in Wedding Mall , Bestech Chamber & MDLR mall . 10. Shop in Nirvana Courtyard on 1st floor @ 16000psqf. 12. Udyog Vihar Phase 6 , 10,000sqft. , 3.5 storey , plot area 250+250sqmtr. @ 2.85CR . 13. Residential FSI 14.5Acres, Sector 91 @ 600psqf (Negotiable). 14. Hotel Site 1000sqyd. M.G Road Near 14 sec. @ 18Cr (Negotiable). DLF pinnacle A Block , Lower Floor , front unit @ 5000sqft. Unitech , The Palms Higher Floor Park Facing , 1640 sq ft , 3BHK . Wembley Estate 3BHK @ 57 lacs . Aloha Society , sector 57 , 2243sqft. @ 3000psqf. Eldeco Mansionz 260sqyd. @ 1.5Cr. Parshvanath Green Ville , Lower Floor , 1910sqft. @ 3400psqf. Trimurti Society Near Medicity 2400sqft. , 4BHK , Ready to Move @ 65lacs . Close 1997sqft , 3 BHK , T – 17 Higher floor @ 3500psqf. Ansal Valley View Orange County 4+1BHK 65lakhs . Parshvanath Exotica , 2810sqft 3BHK ,Middle Floor @ 4200 . Green Ville Highrise, 2430sqft. @ 3300psqf. The Icon 2600sqft. , Tower E Middle Floor @ 4700psqf. Parshvanath Exotica 3400sqft., Bridge Unit 11th Floor Tower C @ 4400psqf. 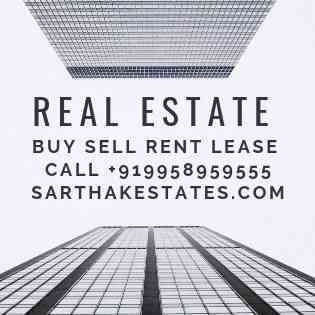 Flat in Vatika City on Sohna Road , Aster Block 2385/ 2160sqft. on middle floor @ 3000psqf. Celebrity Home , New Palam Vihar , 1900sqft. , Lower Floor @ 80 lacs. Plot in Sushant Lok 1 , A Block , 300sqyd @ 45,000 . Plot in DLF Phase 1 , A Block 454 sqyd @ 50,000 . Plot Sushant Lok-1 C Block , 215sqyd. on Main 18Mtr. Road @ 55,000psqyd. Plot DLF Phase -2, 300sqyd , K Block @ 65,000 psqyd. Plot in Suncity , C block , 360sqyd. @ 35,000psqyd. Plot Rosewood city 393sqyd @ 30,000psqyd. Plot in Sector – 46 104sqyd @ 35000psqy Maximum cheque. Plot in Malibu Towne 360sqyd in Cedar drive @ 35000psqyd . Plot in Sector 47, 264sqyd. @ 28000psqy . Guest House for Sale 17BR , Near Golf Course Road . Kothi on Madhya Marg, Phase II, DLF City, 400 sqyd. Builder Floor 2BHK 160sqyd in Suncity @ 50lacs . Designer Kothi of 300sqyd. in DLF phase 1 & 500sqyd. in Sushant Lok 1 C Block . Builder Floor 360sqyd FF & SF in Singleton Floor, South City 2 @ 55lacs . Builder Floor 316sqyd DLF phase 1 H Block, 2nd Floor with terrace@ 70lacs . Built Up house 420sqyds., 4BHK , C Block , Sushant Lok – 1 @ 2.10 CR & also available for Rent @ 50,000 . 1. Delhi Shop in PVR Select City Walk , Ground Floor , 2080 Sqft @ 7 Lac . 2. Signature Tower Office Space 2186sqft. @ 115psqf. 3. Office space 2000sqft., G.F for Rent & Sale on Golf course road . 4. Office space 6600sqft. of 3748+1589+1267+ on G.F for Rent & Sale on Golf course road . 5. Office space fully furnished available 1400sqft. , near Enkay tower . 6. Fully furnished office space 5800sqft. on M.G road @ 90psqf. 7. BPTP park Centra space availabel 30,000sqft. 8. Galleria Office Space 400sqft. @ 80psqf. 9. DLF city court Shop 800sqft. main road facing @ 110psqf. & 1104 sqft office space @ 100psqf. 10. Office Space Available for sale or rent: 2750sqft SEWA corporate park ,M.G. road near IFFCO chowk. 11. Fully Furnished office space 16500sqft. available on M.G Road @ 115psqf . 12. Metropolis prime location G.F 745sqft @ 250psqf. 13. Sushant Shopping Arcade office space 700sqft. fully furnished 10 work stations, Director’s cabin @ 75psqf. 14. Bestech Chambers 621sqft. @ 90psqf./ Furnished @ 120 . 15. Orchid Square, Sushant lok, 1089 sq.ft. 2nd Floor @ 100psqf. 16. Shop for Rent DT city centre , 2nd floor , 525sqft@ 110psqf. 17. Mega city shop 740sqft. , Ground Floor @ 120psqf. 18. Mega City shop Maznine Floor , 2400sqft. @ 130 psqf. 19. MGF plaza office space for Rent 750sqft. , 2nd Floor @ 120psqf. 20. Unitech Cyber Park Tower C area 3456 sfts @ 90 immediate possession . 21. MG Road, 9593 Sq. Ft.Furnished, Commercial office space having power backup @ 110 . 22. Time Tower M.G road , 4th floor 1200sqft. @ 100psqf. 23. Galleria DLF 4 , Shop 263sqft. @ 115psqf. International Call Centre seats are available , rent on per seat basis . DLF Cyber City, 10,000sqft. fully furnished @ 75psqf , Conference Room, Training & Server Room, Library,Pantry, 105 Desktop seats, 8 Cabins . More Options also available Furnished / Unfurnished . Office Space 3500-5000 sq feet at udyog vihar,(Each floor 1650 x 3 floor= 4950 sqft) Centrally A.C, Fully Furnished@ Rs.75/psqf. Udyog Vihar- 2 , 5500sqft. centrally A/C , Power Back up @ 60psqf.+Maint. Available 450 workstations in Udyog Vihar , fully furnished , 50 parking space , 500 KVA power back up . Office Space in Udyog Vihar , near Trident Hotel, Independent Glass building elevation, 13,000 sq.ft with Lift, Parking, Private Garden, Director cabins, lobby, reception, conference hall. basement 1st,2nd,3rd floors halls only @ Rs. 25/sq.ft . 90+ seats for call centre/data centre/software development fully furnished in Udyog Vihar Independent Glass building elevation, 6000 + 4000 sq.ft with Lift, Parking, Power back up , Private Garden,Director cabins, lobby, reception, conference hall. @ 80psqf. 140 seats for call centre/data centre/software development fully furnished on M.G Road , Independent Glass building elevation, 10,000 sq.ft with Lift, Parking, Power back up , Private Garden,Director cabins, lobby, reception, conference hall. @ 120psqf. 1200 seats for call centre/data centre/software development fully furnished in Udyog Vihar Independent Glass building elevation, 65,000 sq.ft Centrally A/Cwith Lift, Parking, Power back up , Private Garden,Director cabins, lobby, reception, conference hall @ 90 psqf. ALSO AVAILABLE FOR SALE @ 40CR . Info City space available upto 50000sqft @ 30psqf. Beverly Park 2 , 3+1BHK , fully furnished + garden @ 1.2 lacs. Belvedre Park 4BHK @ 40,000 . Park View 2 , 4BHK+Sq , 2357 sqft., Modular kitchen , wooden floor, 2-covered parkings, vastu flat, @ 30000. Vatica city Primrose 3BHK , 1653 s.ft area @ 16k+maintenance . Wembley Estate Premier Tower 1836sqft. 3BHK @ 20,000 . Heritage city Fully Furnished 2BHK @ 35000 . Uniworld City Penthouse 4BHK+Terrace Furnished/Unfurnished @ 1.2/ 90k . Society Flat 3BHK Fully Furnished @ 23000 . Ansal Valley view orange county 4BHK+1, @ 25,000. Residency Greens Sec. 46 3BHK , Fully Furnished @ 35,000 . Vatika City, Jasmine Street, 3BHK+ 1, 1800sqft. @ 18000 . Sahara Grace Penthouse 4BHK , 5500sqft. , Personal Swimming pool ,Gym , Semi Furnished @ 2.25 lacs . Orchid Garden Golf Course Road Fully Furnished, 4BHK+Sq @ 70,000. Belvedre Tower 4BHK front tower semi furnished @ 45,000 . Ivory Towers South City 3 +study , 3600sqft. fully furnished . ( good quality furniture and fully running kitchen). @ Rs75,000. Ambience Island.Area 6500 sqft 6BR Super luxury fully furnished apartment @ Rs.4,00,000/-(negotiable). Luxury flat in Royalton Tower, modular kitchen, pool & park facing, 4BR+sq @ 50,000/ . Fully Furnished Flat 4BHK available in Pinnacle @ 1.5Lacs . Suncity Heights , 3BHK Fully Furnished 1800sqft. , Company Lease @ 60,000 . 2 Service apartment DLF -3 available in 500sqyd. , power back up , A/C @ 35,000 . 1. Kothi 500sqyd., 4BHK , power backup in DLF -1 @ 1lac . 2. Fully furnished 8BHK for company guest house in Sec 31 @ 75000/- . 3. Kothi 3BHK+Sq , DLF phase 2 power backup beautifully built up @ 1.25lacs. 4. DLF phase 1 fully funished 2BHK @ 20,000. 5. Dlf phase 3 V block 4BHk+Sq fully furnished , 2.5 storey built up @ 65,000 for company guesthouse or company lease . 6. Ardee city house 300sqyd. , 2.5storey built up . 5BHK+sq , @ 40,000 . 7. Company Guest house 13Bedrooms , Dlf Phase 3 @ 1.25lacs . 8. Kothi 360 yds in DLF Phase IV basement, Ground Floor+2 with 7 Bedrooms/Attached Toilet/Kitchen as a company guest house @ 1 lac . 11. Newly Built Bunglow 500sqyd. 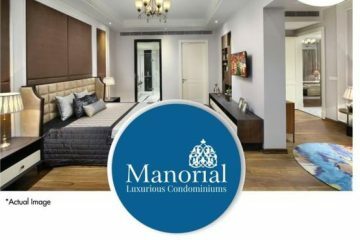 , 4BHK+S.Q , in DLF phase 4 , Generator , Newly built , lawns in front & back @ 2 lacs . 12. Kothi in Phase -1 , 500 sqyds. , Fully Built up @ 1.5 lacs. 13. Delhi Greater Kailash 1 , 500sqyd. Kothi 1st floor , fully furnished , 4+1BHK , lift @ 1.3 lacs .